Located at the iconic Transporter Bridge in Middlesbrough, made famous from featuring in the film Billy Elliot, you'll be hurtling towards the water during this heart racing 160ft bungee jump! Built in 1911, the Transporter Bridge provides the perfect backdrop for this jaw-dropping experience. After you have arrived at the centre on the day of your experience, you will be weighed and fitted with the correct bungee ropes and harnesses. All kitted up, its time to climb the 210 steps to the top of the Bridge. You'll have the chance to admire the fabulous views from the top, before your ankle straps are attached, your harness checked and you hear the famous words "3...2...1...Bungee!" and take the leap of faith. 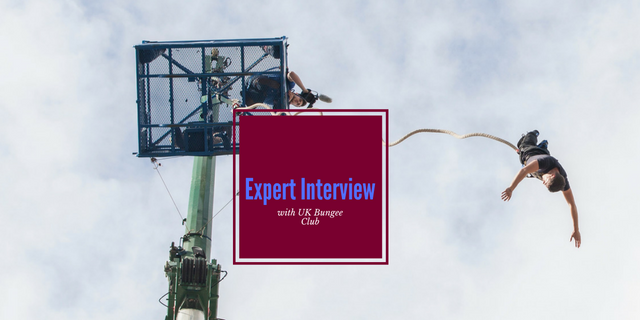 Sure to provide the adrenaline rush of a lifetime, the Bridge Bungee Jump makes for an unforgettable experience, at the UK's only Bridge Bungee Jumping venue. The Middlesbrough Bridge Bungee Jump is available on selected dates throughout the year. Please call to check availability. You should allow up to an hour from arrival for your complete the Bridge Bungee Jump Experience. Please arrive at the centre approximately 30 minutes before your jump time. Participants: The Bridge Bungee Jump - Middlesbrough is for 1 participant. Spectators are welcome and encouraged to bring cameras for the Bridge Bungee Experience! For the Bridge Bungee Experience, please dress in comfortable, casual clothes that are suitable for the weather conditions. 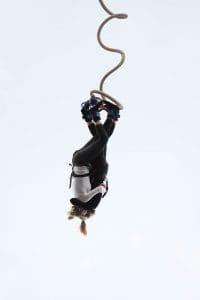 Extreme weather conditions may affect the Bridge Bungee Jump Experience. My first (possibly only) ever bungee jump and the staff were superb. Things were running a little behind time although they were apologetic and I'd rather everybody was safe, than in a rush. Thanks again ! It was a present for son's 21st. He loved it. He couldn't rate the experience highly enough. Excellent day had by all. Superb experience, start to finish! I had a really great time. The staff were super friendly and made the experience fun. Thankyou very much this was an amazing experience. It was a wonderful day despite the cold weather. However the Bungee jump team were excellent, very friendly and helped with my nerves. I thoroughly enjoyed it!!! Can't wait to do it again. All staff were fun and friendly and afterwards asked how the jump went. Great experience. The only downside is once you have your harness on there's no organisation on queuing, as found out when waiting. People decided to jump in who clearly had their harness put on after myself. Instead of waiting for around 30-45 minutes, we waiting an hour and a half. When explained to one of your colleagues he just shrugged his shoulders. Overall I had a great day and would definitely recommend this day out. Had a great time, staff were excellent, highly recommended. Staff are great, especially at the top when nerves really start to set in. They are nicer to girls than guys though... But great all the same! The jump was extremely good, at Windsor on the 3rd of December, however I wasn't pleased with the whole booking process. Very kind and friendly the guys at the top of the bridge attaching the ropes and everuthing. I felt a great sense of achievement doing the jump. I liked the music the staff played at the top of the bridge it helped to relax me before the jump. I bought the DVD for £15 - the quality is terrible, it's really shaky and jumps all the time. My husband recorded it, and although it was from a distance it was considerably better than the one I paid for. I'm glad that I didn't totally rely on the bought one, otherwise I would have been very disappointed on what otherwise was a great experience. i bought this experience for my partner for his birthday and he loved every minute of it and he wants to do it again but a much bigger 1. the staff were very good friendly and down to earth lol. the only disappointing thing was the video you did see much of the bungee but the picture was brill. I had a great jump although getting my head dunked in the river was not the best. It could have been made better if the staff had given me a towel and a hot drink to warm up after being dunked in the river as it was quite obvious I was soaked and shivering. I thought the aftercare due to this was very poor and the manager was there and aware. ... Everything else was superb! Excellent day! I don't think I have ever been so nervous before, but in the end I still ended up jumping straight away.The staff easily calm your nerves and your so glad once your over the edge and theirs nothing you can do about it as the feeling is amazing. the only dispointing point was that they spelt my name wrong on the certificate which i was hoping to frame and did not notice till i had left. If only it were cheaper - I'd jump again! Diving head first from a perfectly sound bridge goes against everything your instincts are telling you, but its worth it! What a fabulous experience this was - only complaint was that its over too quickly! Oh, and if you buy the DVD of your jump (which isn't cheap) its locked (as in encrypted), so you can't share it with friends on Facebook or anywhere else - I felt really ripped off about this and after having a great experience this gave me a sour feeling about the company (there was no mention about this when they asked me to part with my money or when I got it!) So, do the jump but get a friend or relative to come and video it!! A great day and a pure adrenalin rush !!! You have to try it !!! An absolutely amazing experience!! I was bricking it beforehand but am so glad I did it, an amazing rush! The jump it's self is awesome, only problem is know i have to go looking for something bigger to do. Staff where fantastic, funny and knew what they were talking about which made the whole experience even better. All in all great morning and would recommend it to anyone. I received amazing feelings, experience and enjoed fully. Staff, equipment and others things were great. Thank you. I would do it again and even several times. Photos, DVD's, T-shirts etc, too expensive. excellent experience,well scary, guys up top help to make it do able, will stay with me forevver. I would highly recommend it!!! Staff were amazing I nearly back out but they completely made me feel at ease. Fantastic day, Thank you!!!!!!! overall good activity well worth doing. Arrived half an hour before as instructed, checked in reasonably quick, but jumped an hour late. The best extreme experience to date,enjoyed every minute and would definatley do it again,put a smile on my face for the hole day thanks very much. staff are so nice, they help me to relax before the experience. 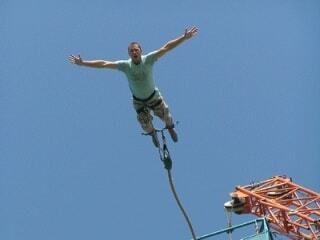 I am so excited about my next bungee. 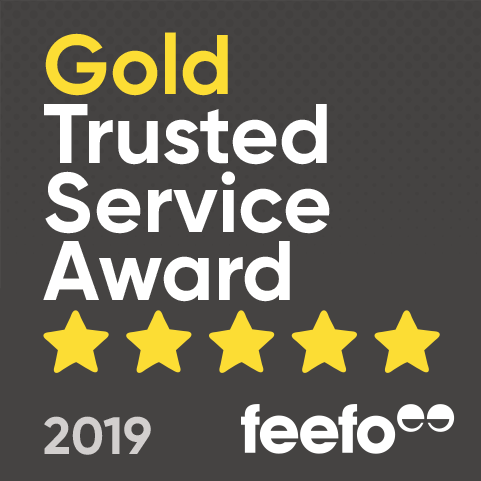 A fantastic experience with staff that know how to put you at ease. Definately something I'd recommend to anyone! A fantastic experience!!!! My girlfriend and I did this yesterday, both of us were not looking forward to it! lol (this was arranged for charity) but the nerves were soon kept under control by the staff who obviously knew not only how to do their jobs, but exactly how to ease the nervous crowd waiting to jump. The whole experince was amazing!! Everyone was so friendly and the guys at the top were brillant! I would do it again without a second thought and defo use this site again! The whole experience was amazing, something I've always wanted to do. Was exhilarating, and one of the best things Ive ever done with my life. Staff were friendly and accommodating, definitely something I want to do again in the future. everyone must do this once in their life! I will be re-booking. Amazing! Everything about it was amazing :) staff were great, really friendly. would definitely do it again. I loved every second of the jump, cant wait to do it again. The staff are great and made me forget my nerves about throwing myself off a bridge! Very very good, such a rush would do it again and again. My only problem with the whole experience is it was quite difficult to book. it was amazing! i thought i would be really scared... and it was scary, but as soon as i jumped i forgot all of that! it was brilliant. dont know what else to say apart from WOW! what a rush! The staff were absolutely amazing! Very friendly. Was a great experience!! A definite 'must do'!! Really enjoyed myself, staff were awesome and made you feel at ease! Definitely recommended! My partner did the jump for his 30th and would do it every week if he could. Had a fantastic time, the four of us that jumped absolutely loved it. My best jump so far, but always room for improvement, aiming higher for next time. Definitely worth the 350 mile trip! I highly recommend anyone to experience what I enjoyed with Element, These guys are highly professional and made my day the best ever! My partner broke his clavicle bone a few years back, would that prevent him from taking part in the jump? 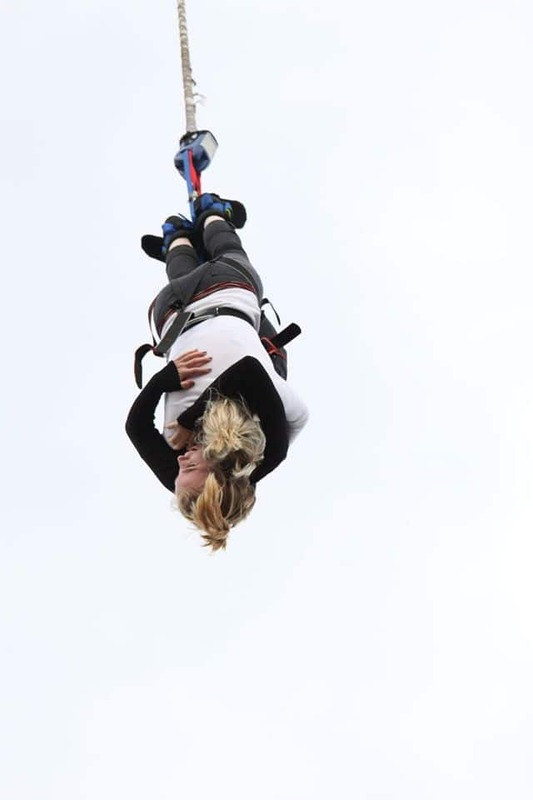 If you have medical concerns then it's best to talk to a Doctor before signing up for a bungee jump, as the responsibility will be entirely yours on the day. If you're still unsure, we would advise not taking part. Can I do the Bridge Bungee Jump if I am under 18 years old? Yes, the minimum age for the Bridge Bungee Jump is 14 years. Participants under the age of 16 would need a parent or guardian to sign a permission form on the day.